DELTA did not become one of the largest Leveler producers in the world overnight. 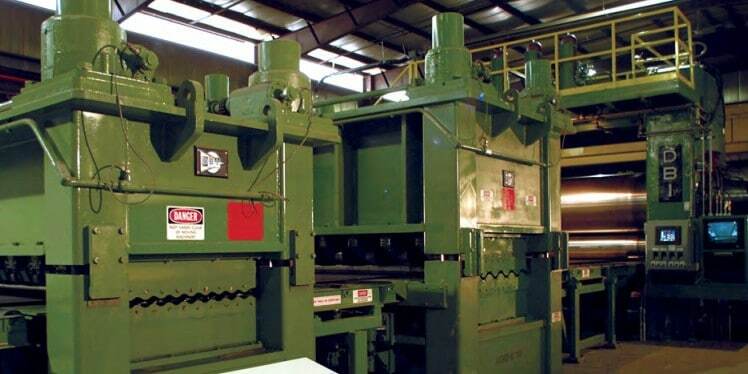 In 1964, DELTA was founded with the construction of its first machine, a roller Leveler for 48-inch-wide 12 gauge steel. Fifty years later, DELTA has manufactured hundreds of Levelers of all sizes and for various applications and materials. DELTA’s Levelers are found worldwide in 4 High, 5 High and 6 High configurations. Our Levelers process hot and cold rolled carbon steel; galvanized and painted steel; high-strength steel, quench and tempered and armored plate; aluminum; stainless steel; tin plate, brass and copper; and exotic metals of numerous types. Thickness capacities range from 2” (50mm) armor plate to .005” (0.1mm) food and beverage stock. DELTA uses the most advanced materials and processes to ensure the functionality, longevity and maintainability of the equipment. Our Levelers are all designed to give “a little more.” Steel is rarely perfect, and our intent is to get it there. The robustness and installed power of our levelers give our steel mill and service center customers that extra power to get the tough coils and/or plates flat. What is tough? Tough is 250,000 psi (1,760 mPa) yield strength heat-treated armored plate with wavy edges in, flat steel on the way out. All in ONE pass!